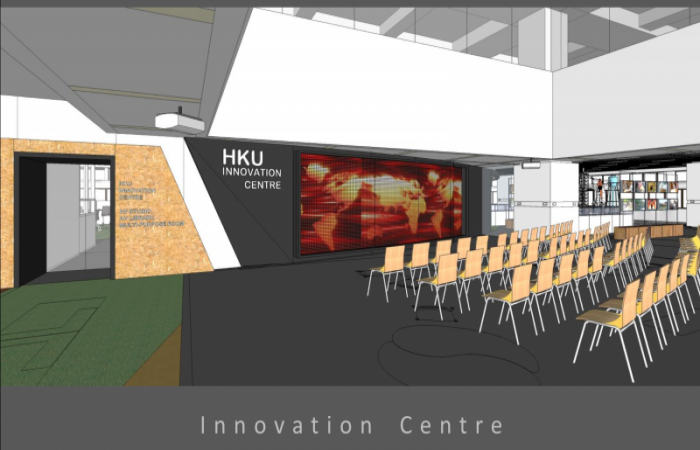 The Innovation Centre will be the venue supporting the fluid process of Conceptualization & Visualisation, Virtualization and Production. 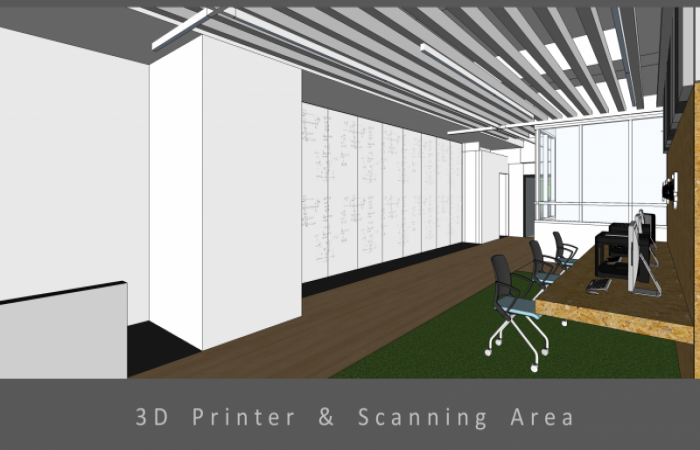 For conceptualisation, the Visualisation Wall area equipped with LCD TV wall and closed partitions can support digital scholarly research and support knowledge exchange by providing a technology-rich space for research meetings, seminars, workshops, conferences, instructional classes, etc. 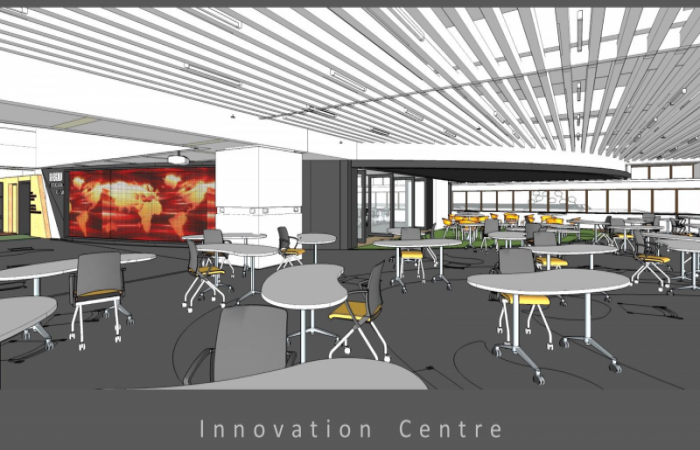 When the area opens up, it will become a discussion area with the provision of portable digital whiteboard systems and whiteboard tables for idea/concept generation. 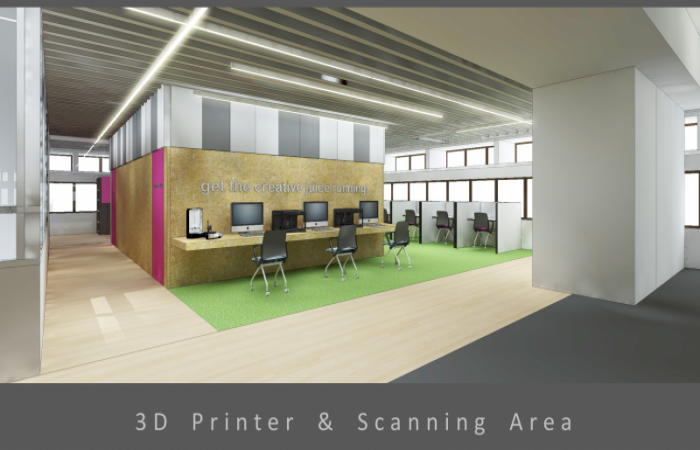 Patrons can test out and visualise their ideas/concept in 2D format with the centre's PC/MAC machines equipped with various design software while 3D scanners can be used to virtualise the product before making the prototype with the 3D printers. 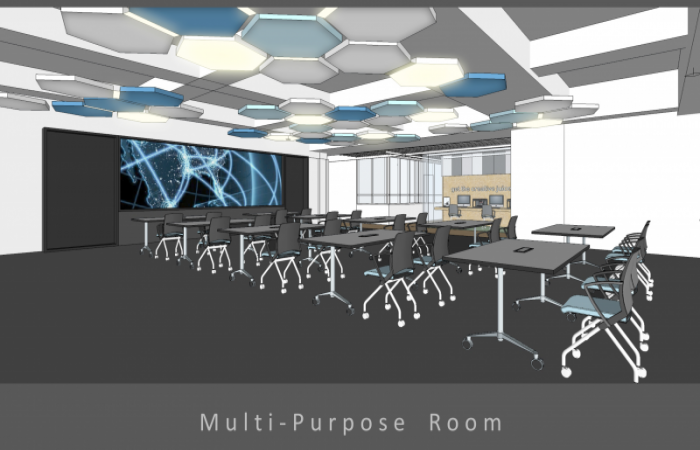 Studio and editing rooms in the centre will be equipped with a patron friendly studio system with the provision of professional microphones and the capacity for creating, recording and editing digital audio/visual files. 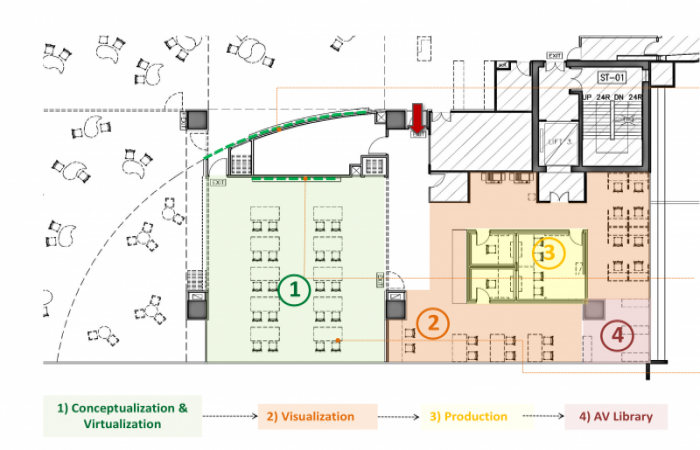 It supports audio and video recording for the creation of class materials for blended learning/MOOC courses, recording interviews of faculty or students, etc. 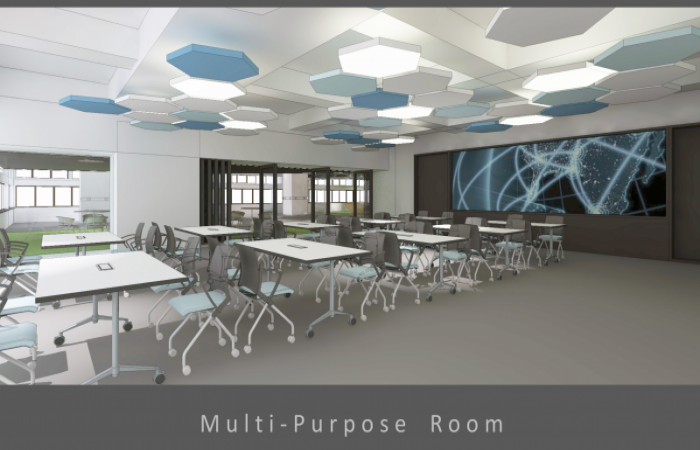 Students can also use the studio as a means to improve their public speaking performance, rehearse their presentation or develop oral presentation skills.